Meet Sandra-Lea from Pebble + Fred, she has been cutting, pasting, painting, stitching and sewing, creating and making since 1987. 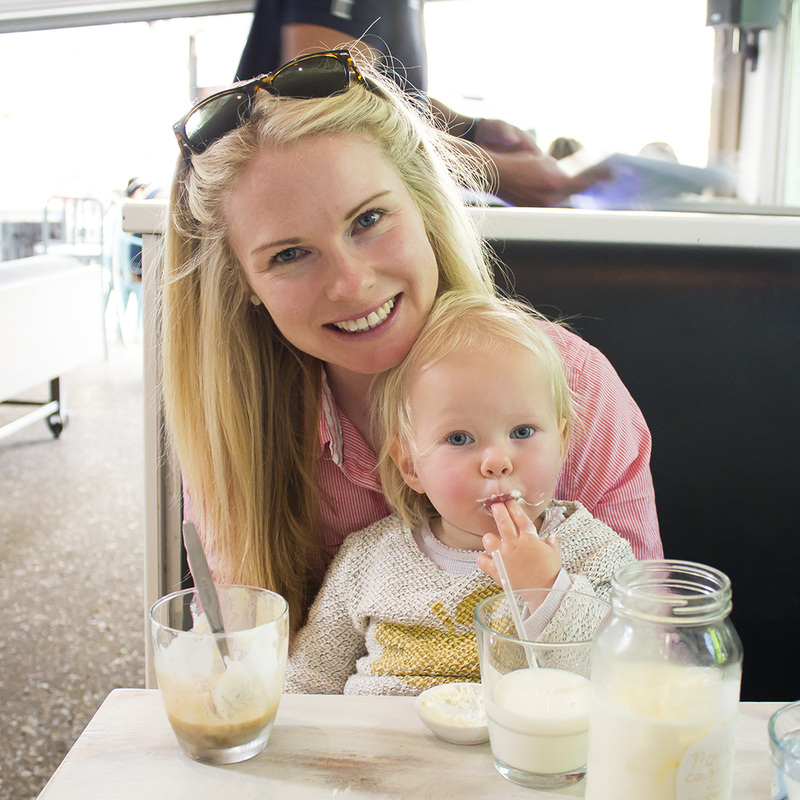 A small town farm girl who now resides on the Sunshine Coast with her super cute family making super cute jewellery. I love some fun. I love making beautiful earrings and necklaces that are pink. Hot pink, pale pink, dusty pink, baby pink, light pink and I'm a sucker for mint. I love gold and silver but not the expensive kind. I crave colour but most every time I choose the white pair. I love white and black and sometimes mixed together. Pebble+Fred is the front counter lolly jar in your favourite store. The "Oh no I just can't decide!" sigh. Pebble+Fred is pretty ... girly. Currently (always changing with a small peep in your world) We get up at 5:30am. Honor eats her favourite, rolled oats, I shower do as much of the house stuff as I can and then we head out for our walk. Coffee, fruit toast and park then home. She's a super sleeper, most days 4 hours so thats when I get all my "good" work done. MYOB. Love it and apart from a notebook which I religiously write my to do lists there isn't much else in the way of tools. I"m not a phone person and stay off it as much as possible! Take a really incredible trip to New York and then across to California with Andrew and ONLY Andrew. We had the best time just being a couple with no baby or work and it was the best feeling ever. Yes! ALL the TIME! Every I think I get a super gorgeous message from a customer or photo or comment or whatever it is. My customers never stop supporting me. Umm, everyone should be reading my blog! and signing up to our mailing list. I am working on some new products that I think everyone will love! oh, Grimesy and Rat of course! Nothing - I just knew I was never going back to work after having our little girl. So one day I decided what I was going to do and just went for it. Everything. I make my own money doing something that I love. Most organised - hmmm... MYOB, accounts and my emails are always in check I suppose. Getting orders out i'm pretty good at. BUT i'm totally crap at Social Media and keeping up with all the lovely comments people leave... I wish I had another 2 hours in the day to do that. Hmm. Advice? Well I think it was my mum that probably said it when I was young but she said "focus on your own stuff - don't worry about anyone else" Now I use that with my business and just focus on my business and will not get caught up in competition etc. Do not have the time! I talk to my gorgeous partner Andrew. Always makes me feel amazing and great and like super woman. I also sometimes write a list of the stuff i've accomplished already. The necklace I created with an incredible friend @grimesyandrat it is honestly to die for!